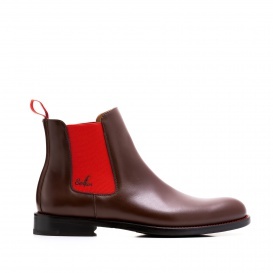 The brown Chelsea Boot with the red spandex inserts does not only makes every outfit friendly, the warm color also flatters its wearer on every occasion. 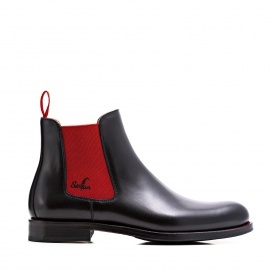 Wear a nice boyfriend jeans and a parka with these boots and complete your trendy outfit with a red eyecatcher like a cap or a belt. 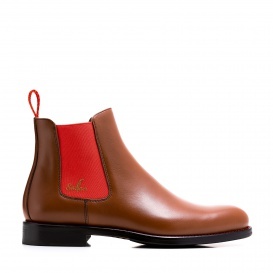 The spandex inserts on both sides are typical for the Chelsea Boots and provide a perfect fit and long-lasting comfort.